Looking for a freelance planner? Prospero Planning understands that meeting targets for performance of your development management function and keeping planning policy up to date is not always easy. Staff leave and can’t be replaced quickly or staffing levels are such that a couple of major applications or additional pieces of work can tip the balance. Prospero Planning can offer you a cost effective solution to plugging a gap in resources. We can assist on a short or long term basis, from dealing with just one major application to picking up a number of planning applications per week. 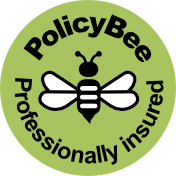 We also have policy expertise and can carry out discreet pieces of work related to policy development and delivery. Our experience of working with planning departments across Wales and England will leave you safe in the knowledge that when you ask us to help, we will adapt quickly to your way of working and provide you with tangible results. Please read the following testimonials from some recent LPA support work. If you think we may be able to help your LPA simply contact us to discuss all the options open to you for engaging Prospero Planning.